We’ve been busy. I won’t go so far as to say we’ve been working hard, because we subscribe to the notion that when you’ve found what you love to do you never have to work! But, we have been very busy doing what we love – teaching technology to travelers. Read more about the Escapade Rally. Oct 10: Android Phone presentation to the Glendora Seniors Computer Club. We will be using Google+ Hangout to present this California session while we’re in South Carolina! For more details, see our website Calendar. Did you know we have a Geeks on Tour Google+ page? If you’re on Google+, check it out and give us a +1. Then you will be notified when we have a hangout. Hangouts are a cool way to see and hear each other as well as share our computer screens. It’s a high-tech meeting room you can use anytime, anywhere. On our last hangout we met Rolland Lawrenz. Rolland has been following Geeks on Tour for quite some time and loves the idea of traveling and teaching at the same time. He teaches iPads / iPhones and such by scheduling ‘Ask Away’ sessions at local (Seattle) Starbucks. hmmm – what a cool idea. Yes! We’re doing it again. Phil and Tracey from TechnoRV and Jim and Chris from Geeks on Tour are teaming up to deliver the most learning, the best food, and the most fun of any RV rally you can imagine. 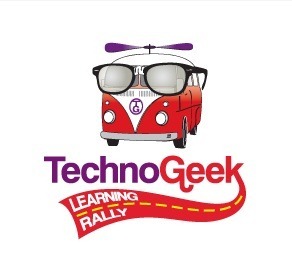 Watch the video of the first TechnoGeek Learning Rally to see what I mean! 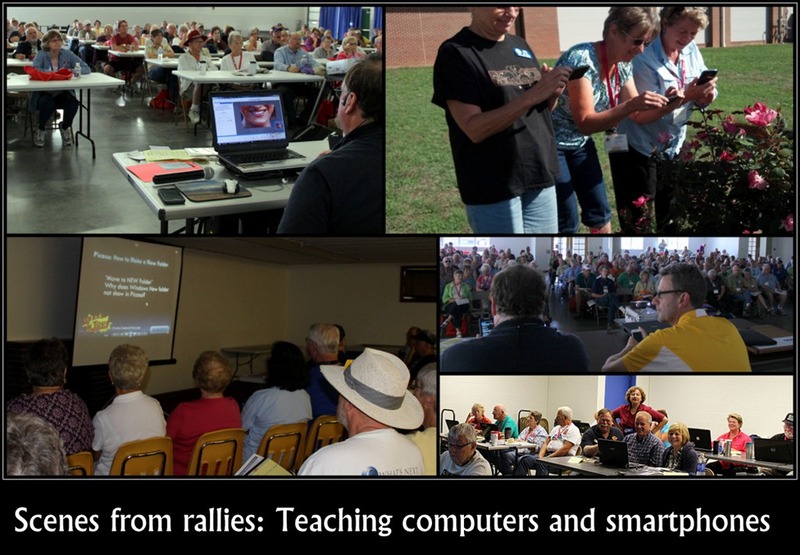 You will learn about cameras, computers, smartphones and more at this week-long event in Bushnell, Florida December 2-8. See the Rally Page for all the details. Learn about RV camping, RV travel, RV news and much more. This newsletter is now in its eleventh year of continuous weekly publication by Chuck Woodbury. In the current issue you will learn about Chuck’s travels, including an RV Park within sight of the Statue of Liberty, RV News about fuel prices, new BLM campgrounds, RV Recalls, RV Shows, and overnight parking rules. Also included is expert advice on high tire pressure, overheating 30Amp plugs, and RV Holding Tanks 101. And that’s just a start! Subscribe now. And, tell ’em the Geeks sent you! We have two Apps we want to tell you about. Ever turn your phone to silent, then forget to turn it back on? The Silent Mode Timer is for you. And, if you’re an RVer with a Passport America membership, you’ll love the App that helps you find all the participating parks. 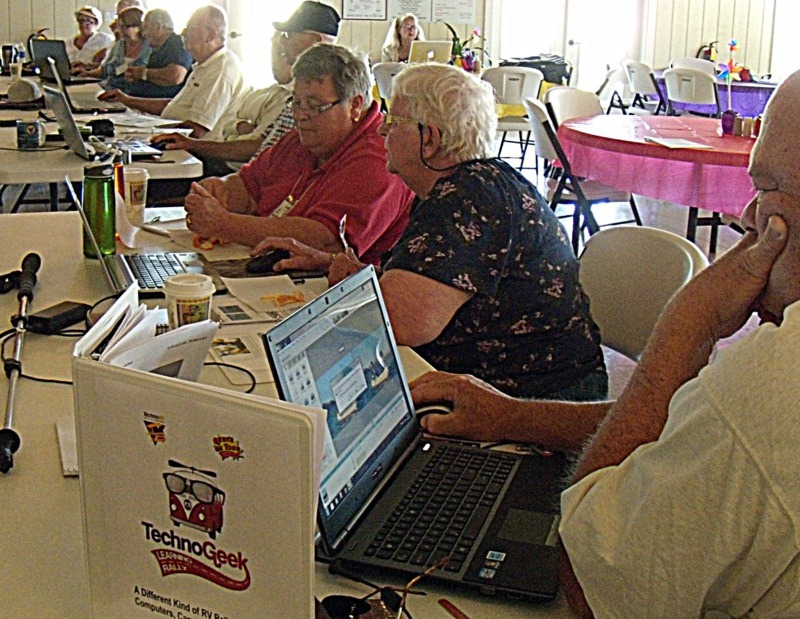 For the last several FMCA conventions, Jim has provided computer support for an interactive session named RV Destinations. People attending the sessions share their favorite destinations from their RV travels, and Jim finds those destinations using Google Earth. Now you can have the results! The article will also teach you how you can make your own maps. Here’s the question: Can you look at your email inbox on your phone, your computer, and your iPad/tablet and be seeing the same thing? Can you delete an email while using your phone, and it will be gone when you look at email on your computer? If you answer ‘Yes’, then all is well. If not, then you’ve got some work to do. It’s called device independence. Your email experience should be the same regardless of what device you’re using – phone, computer, or tablet. It can be done and it should be done. There are many ways to do it, we think the easiest is by using Gmail for your inbox. Yes, that means you have an email that ends in @gmail.com, but it doesn’t mean you have to use that address. You just need to use the Gmail software for your aggregate or universal inbox. This article will tell you how. only $7/monthly $58/yearly or $68 one year = access to ALL videos plus the Forums. The Geeks on Tour website is an online learning library for Travelers who want to learn to use their computers for managing digital photos, making blogs, using maps and other online resources. Anyone can watch our free videos, read articles on our Computer Tips for Travelers Blog, sign up for our free monthly newsletter, or Picasa weekly tips. A small fee makes you a ‘member‘ and you can then view any of our 200+ video tutorials on these subjects in our Learning LIbrary.. Published by MrsGeek, in Newsletter. Tagged with cloud computing, Device Independence, FMCA RV Destinations, Gmail Universal Inbox, Passport America Parks App, Silence Mode Timer Android, smartphone apps.